Since 2010, my kids and I have been taking Juice Plus every morning to help bridge the gap in our diets and ensure that we are getting the nutrition we need to lead healthy lives. There have been years where our only visit to the doctor was for an annual well-check. Since Jan 2017, I have been happy to embark on an adventure to truly lead a healthier lifestyle by incorporating all of the Juice Plus family of products and also becoming a virtual franchisee so that I can share these great products with my friends and family. 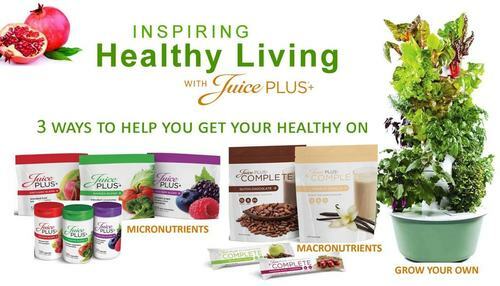 Click Here to browse my Juice Plus shop and learn more.